Locally-supported, globally-prepared. Students across the Burlington-Edison School District (B-ESD) work each day to develop the 21st Century skills and qualities needed to thrive in an increasingly global community. Through a focus on learning experiences that encourage students to more deeply understand key concepts, building essential skills to both college and career goals, our students demonstrate dispositions necessary for a changing world. B-ESD teachers engage students in high-interest, relevant learning experiences to support students’ curiosity and create space for them to ask questions about the world around them. With a focus on equitable practices across our system, we consider each students’ academic, language, and social-emotional needs for growth and success within B-ESD. Our students regularly leverage technological tools to support their learning. 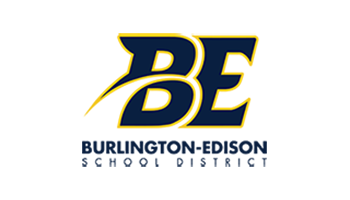 No event highlights this more than our annual B-ESD Ed-Tech Fair, happening on April 19, 2019 from 4:30-6:30pm at Burlington-Edison High School. We encourage you to join us at our Ed-Tech Fair – and to bring your employees and co-workers – to witness firsthand the next generation’s workforce in action. We hope to see you on April 19th! You are invited to attend our 1st Annual ATTIC Flap Jack Feed – meal includes pancakes, scrambled eggs, sausage, bacon, and drinks. Please contact Gina Eakin if you would like to purchase tickets at (360) 770-3440. If you cannot make the event but would like to make a contribution, please contact Jan Curry at (360) 391-3332. When: Saturday, April 20, 2019 9:00 a.m. - 11:00 a.m.
•Fund a Need: ATTIC will identify a special item or project that needs monetary donations to help our students achieve their best. More details as we get closer to the event. •All proceeds raised will benefit ATTIC projects such as Learn to Earn, Dress for Success, Scholarships for Community Exploration activities, etc. Washington Vocational Services is a private non-profit that specializes in employment services for individuals with disabilities and stands behind the idea that everybody has employment potential. Our purpose is to match the unique talents of each individual with the specific need of the employer. This agency supports choice, inclusion, and empowerment of all of its participants. In addition, local School Districts have contracted with Washington Vocational Services to provide the Adult Transition To Independence Center (ATTIC). The ATTIC Program works with 18 to 21 year old students to teach vocational and daily living skills in preparation for their transition to post-school employment and inclusion within their communities. 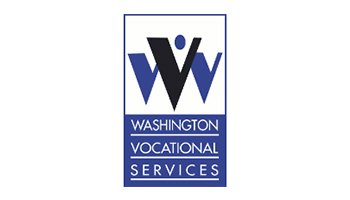 If you want more information on Washington Vocational Services and other programs please go to www.wvs.org. 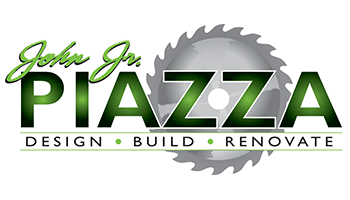 Kim Piazza along with her husband John Jr. own and operate John Piazza Jr. Construction & Remodeling, Inc. JPJ Construction was incorporated in November 2011. Prior to opening JPJ Construction Kim and John ran Piazza Construction, Inc. for her in-laws. JPJ Construction is a general contracting company performing all aspects of residential and commercial construction, focusing on new home construction, remodels, commercial and tenant improvements. As well as insurance work. John and Kim take great pride in the work they do. They are very excited to own and operate their own company. Kim and John believe in giving back to the community where they grew up. Kim was a supporting member of the Vala Youngquist Children’s Hospital Guild, one of the founding members of the Burlington Mid-Day Rotary Club, have been active in support of the arts in our community through META Performing Arts, and Theater Arts Guild. She is vice-president of Skagit Women’s Investment Group, on the Downtown Burlington Futures Committee, Treasurer and chair of the Events committee of the Skagit Island County Builders Association (SICBA) and BIAW. Kim and John are active members of the Burlington and Mount Vernon Chambers, and Kim is an ambassador for the Burlington Chamber, they also believe in and support the Boys and Girls Club. Kim graduated from the University of Washington with a Bachelor’s of Arts Degree in Sociology in 1994. Following graduation, she worked briefly at Cascades Job Corps as a residential advisor, then the Washington State Department of Corrections as a Word Processing Operator, followed by a Community Corrections Officer. Following the birth of her first child she went to work for her mother-in-law at Piazza Property Management where she worked for six years followed by Piazza Construction, Inc. and now JPJ Construction and Remodeling. In August of 2014 Kim received her real estate license. She hangs her license at Soria Real Estate in Burlington. In 2015 she had the honor of receiving an award from the North Puget Sound Association of Realtors for Realtor Rookie of the Year, and has experienced a very successful start in real estate. Outside of work Kim keeps very busy with her husband and two active children. She enjoys jogging, camping, traveling, reading and anything with her family.